Tony Shiels moved to St Ives in Cornwall in the late 50's, but was sectioned and expelled after a drunken incident involving guns loaned to him by Terry Frost. He subsequently lived in Ponsanooth near Falmouth from where, with the help of a coven of witches, he raised a number of sea-monsters most notably 'Morgawr' and the Loch Ness monster. Shiels' monster-raising was widely covered in the national press at the time. This is the first of several interviews carried out by Rupert White during research for the book 'Monstermind'. I first visited Cornwall in 1949, only as a kid. Then I moved there in 1958 when I was 20. I was a painter, and I wanted to meet up with a few lads that I admired. Peter Lanyon was one. He turned out to be my near-neighbour in Carbis Bay (picture right). I've never been much of a one for art colonies really, but I wanted to have a look at Cornwall, though not so much the incestuous business of an art colony. I really can't stand that shite honestly. There was a lot of politics involved. Arguments between the Penwith and Newlyn Societies. But Peter Lanyon, who was caught up in the arguments, was a neighbour and an encouraging friend. Had you come from Art College? Yes. I was at Heatherley’s in London, and in Paris I popped into the Andre Lhote Academy in Paris, in Montparnasse. I was in Paris in 1956 – I was not quite 18 – and found it very exciting. Then I also made a living knocking up some dirty blues piano on the Rue de la Huchette. How did Surrealism influence you? But its 'heyday' was in the 30's before you were born. You talk about 'heyday', but it just goes on. Surrealism isn't an art movement, it's a way of thinking: a philosophy in a sense. As Andre Breton will tell you it solves all the main problems of life. Why are you interested in Surrealism? There were a few artists from Cornwall who were Surrealists. Like Pailthorpe and Mednikoff, for example. Or John Tunnard. But they all kept well away from St Ives. 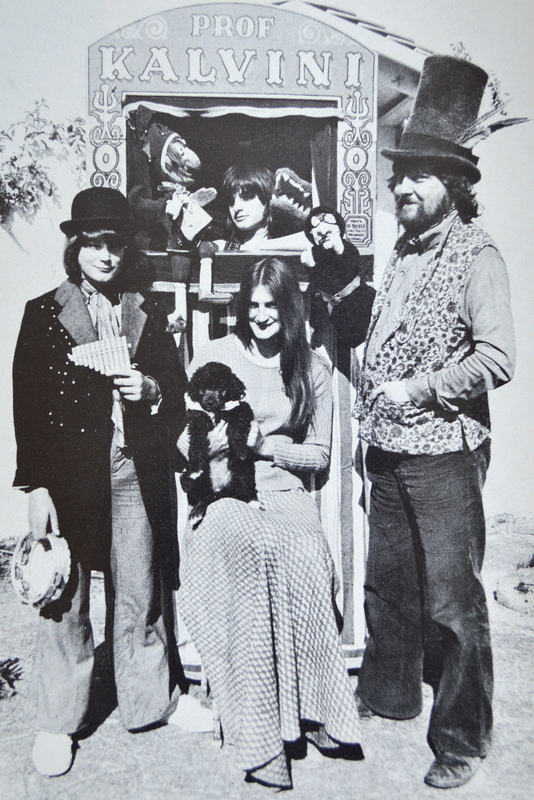 Pailthorpe and Mednikoff were at the centre of arguments in the British Surrealists. I don't know if I would label people like John Tunnard as Surrealists. But I personally would tend to meet people at the Newlyn Gallery, rather than in the St Ives milieu. Ben (Nicholson) and Barbara (Hepworth) in St Ives regarded themselves as the bosses: they wanted to run things, and control things there. 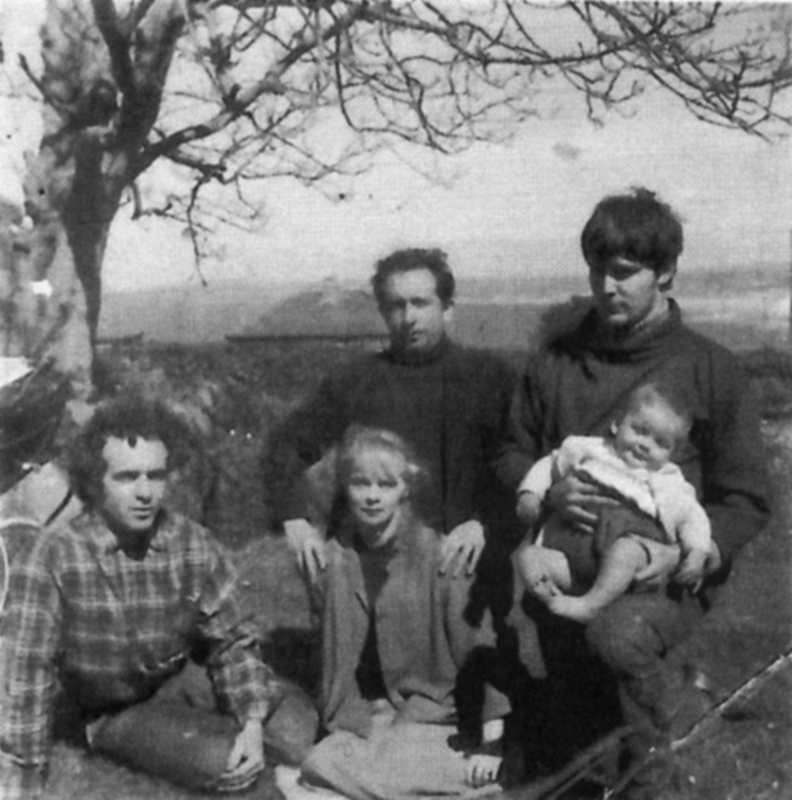 Peter Lanyon fell out with Barbara and Ben though he had been good friends with them earlier – he thought they should allow anything into the Penwith as long as it was OK - as long as it seemed real. I was only in St Ives for about 4 years. So I don't regard myself as part of the St Ives school. I moved to Gloucestershire for a couple of years then moved back to Cornwall for about 20 years and lived in Ponsanooth. I carried on painting and did some theatrical stuff. I was vaguely involved with the folk club at the Dock and Railway in Falmouth. I showed at the Newlyn and Penwith from time to time and was a member of both. I did show in both galleries, and at Boots Redgrave’s place the New Craftsman. Also at the Porthminster Gallery. According to Charles Harrison, Ben Nicholson really didn't like Surrealism. It was too literary for him. I corresponded with Soupault when he was an old man. I knew David Gascoyne and Judy. Not well, but I did know them. I published a magazine called Nnidnid. It only came out with one issue, then after that issues 2 and 3 turned out to be a cassette object: just noises and an object. You could call it Dada-absurdist. Your book Monstrum has an foreword by Colin Wilson. Was he a friend? I first encountered him in the late 1950's in London. He would turn up to do lectures at Falmouth Art School, and we would go for a drink afterwards. We weren't close friends, but we were friendly enough that he agreed to write the foreword for my Monstrum book. Did you also know Peter Redgrove, the poet? I'd have met him through the art school too. Funny old bugger. I was a very good friend of poet Sydney Graham (WS Graham). He was in Madron. Talking of Surrealists and your monster-raising, there are some interesting parallels between you and Ithell Colquhoun. Would you recognise this? Yes. I am less of a 'shut-eye' than Ithell was. The term 'shut-eye' is a term used by fake psychics. People who believe too much. I am sceptical about myself shall we say. Yes. She lived at Paul at this time. She was rather seriously involved in Occultism, whereas I was playing tricks. Let's be fair about this. She told me that I could do the real thing, but she also recognised the fact - as I always admitted - that I was a charlatan and a mountebank. Would she have accused you of that? I told her that I was a charlatan and she denied it: 'Oh no' she said 'you have real power' and all that nonsense. I said 'no more than anyone else my dear'. She was a bit too involved in the Occult. She was a practising occultist. She was quite theatrical but I was more authentically theatrical because I am a cheat you see – or I pretend that I am. Was your monster-raising activity an artistic endeavour? It's regarded as such. But the thing is it worked because the damn things did come up. I did n't fake any photographs. These damn things came up that were photographed. I don’t know what they were. There was something there. I didn’t arrange it. It just happened to be there and I took a couple of photographs of it. It wasn’t a set-up job - if it had been it would have been much better. What happened then seems to be beyond your explanation. I was puzzled by my imagination. I've done lots and lots of paintings of 'sea-heads'. They relate to the whole business of what I’ve done. Chris Fairbanks the actor from the Full Monty is in Monstrum, with your family, because you put on a play with him called 'Distant Humps'. Ken Campbell wanted us to do this. We were meant to go to London with it, but we had a fall-out. Chris had been doing a show for Ken Campbell (Illuminatus trology by Rob Anton Wilson at the National Theatre). Ken read about me raising the Loch Ness monster, and having something to do with the Owlman of Mawnan. So he turned up in Ponsanooth and said 'do you fancy doing a show?'. He did all sorts of stuff. He was a lovely lad but we fell out. Did you know Occult groups active in Cornwall? Do you mean the witches? A couple of them could have been my daughters and my wife. There were lots of people trying to do that thing in Cornwall. But we wanted to be the best. We wanted to show them how it should be done and so we did. We said: 'Right, we’re going to raise monsters. Right, we are going to make strange things occur'. Your family were involved with a lot of the theatrical and magical things you were doing. We were working with Footsbarn Theatre. We used to do shows with Footsbarn, we would go along with them. Several of my kids and grandchildren have worked with Footsbarn - based in France now. Then, they were cast members of my own company. We were called 'Tom Fools Theatre of Tomfoolery'. Street theatre, and on stage and big tent shows, indoors and outdoor theatre. Cornwall, Amsterdam. Then mainly in Ireland. For 30 odd years now I've been working in Ireland.